We are handling Risperdal gynecomastia lawsuits cases for male patients developing breasts while taking Risperdal or within five years of their Risperdal usage. Gynocemastia, or male breast growth, is serious side effect of the Risperdal drug. 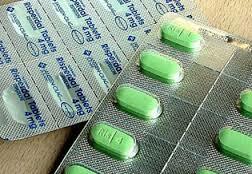 Risperdal is commonly used in the treatment of psychotic disorders, including schizophrenia and bipolar disorder. Recent scientific studies and medical reports demonstrate gynocemastia is a side effect of Risperdal. Drug companies failed to disclose this potential risk to consumers. Gynocemastia has caused severe mental and psychological distress to boys, teenagers, and men who are self-conscious about this condition. Many have resorted to breast reduction surgery and other plastic surgery procedures to correct the condition. However, these surgeries are expensive and can leave embarrassing permanent scarring. Patients who have developed breasts or breast tissue, after taking Risperdal can pursue a Risperdal lawsuit against the pharmaceutical company. Cases are also being filed against generic drug makers as well. The lawsuits against Johnson & Johnson, maker of Risperdal, allege that the company failed to warn individuals of the defective nature of the drug. At the dangerous drug law firm of Buckfire & Buckfire, P.C. our Risperdal lawyers represent male patients and young boys who have gynocemastia after taking the prescribed medication. Damages include compensation for physical and psychological pain and suffering as well as medical expenses. Many males have undergone plastic surgery, including breast reductions, due to the condition. Other medical expenses have been incurred as well. It is important when filing a Risperdal lawsuit, that you hire an experienced attorney who specializes in these types of cases. If you are a male patient suffering from gynocemastia after taking Risperdal, you do have legal rights. Call our top rated Buckfire & Buckfire, P.C. Risperdal attorneys now at (800) 606-1717. We will discuss your Risperdal lawsuit and begin working on the case immediately, gathering all the medical records and evidence to prove and win your case. Call today for your free consultation!